﻿ With APS back in session along with most of the area colleges, the lineup for GAMA's fall activities is in full swing. Last Wednesday, August 8th, was the APS Sports Mixer for all APS trainers and GAMA's crew of volunteer physicians who so faithfully man the sidelines for all APS football games throughout the year. Sponsored by First Citizens Bank, we had almost 40 people in attendance for an evening of renewing acquaintances, sharing stories from summer vacations and great camaraderie. 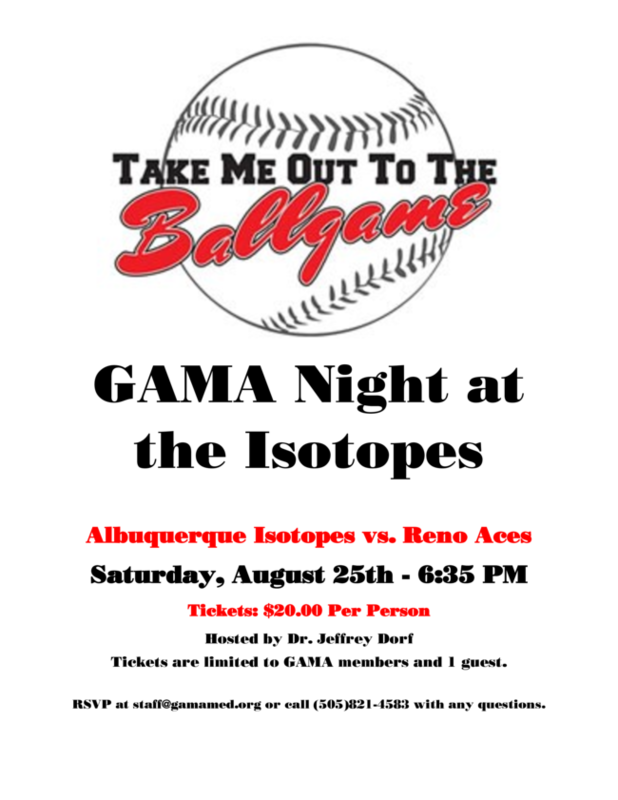 GAMA's night at the Isotopes is Saturday, August 25th so please call the office if you need tickets. There are only a few left. 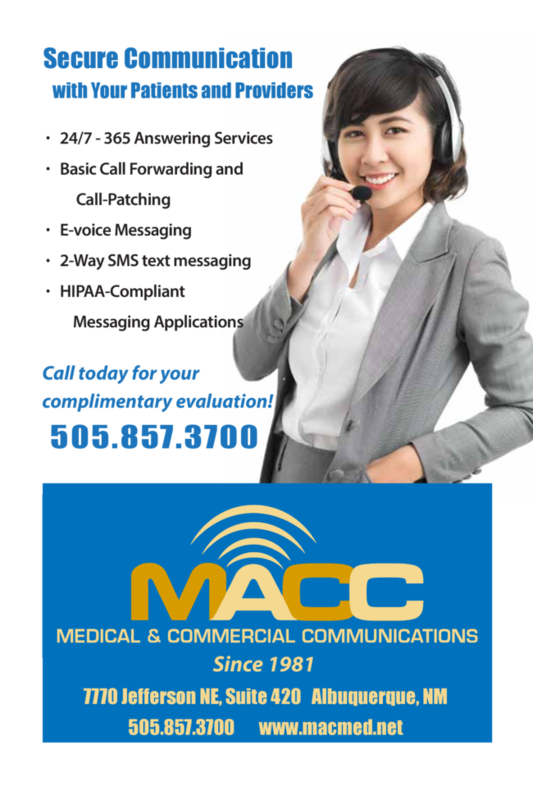 The inaugural convention for the New Mexico Medical Society is just a few weeks away. Don't miss this opportunity to gain valuable CME credits, join your colleagues for some fun social events and get to know some of the new faces of medicine in New Mexico! 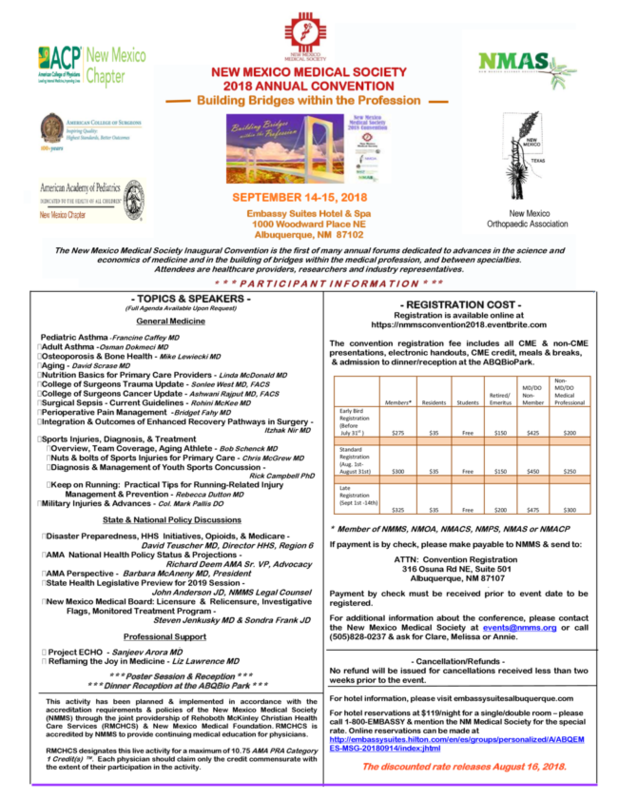 There is a convention flyer in this edition of the newsletter with a complete agenda and details on how to register. 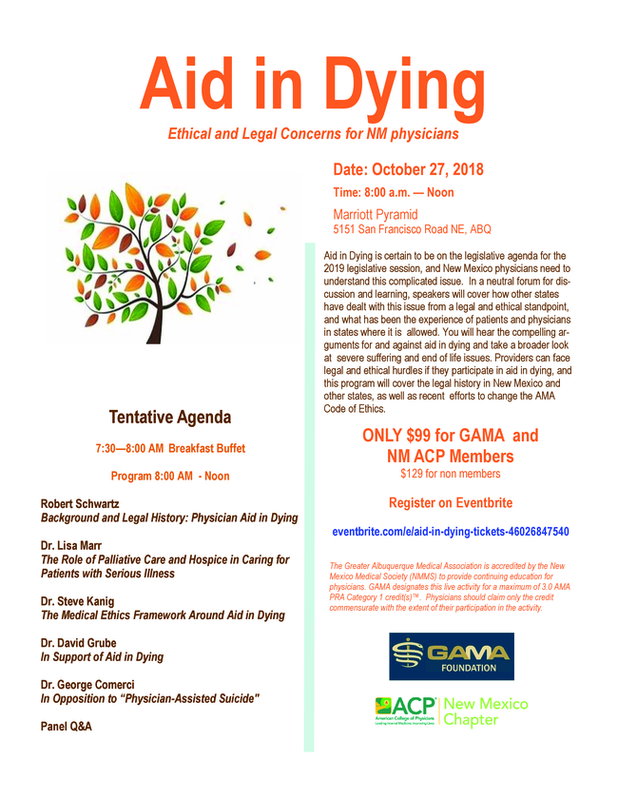 GAMA's Aid In Dying CME Saturday, October 27th is open for registrations on Eventbrite. Full details are available on the flyer in this newsletter. A compassionate end of life bill is almost certain in the 2019 legislative session. Learning about this issue will be critical going forward in your respective practice. Sign up today as space is limited. Please scroll through the entire edition of this newsletter. There are lots of interesting articles and announcements for upcoming events. Don't miss out! The National Osteoporosis Foundation (NOF) elected E. Michael Lewiecki, MD, as Vice President of its Board of Trustees during its annual meeting, the Interdisciplinary Symposium on Osteoporosis, that was held in New Orleans in May 2018. In this role, Dr. Lewiecki will contribute toward the organization’s mission to prevent the two million broken bones that occur each year in the US due to osteoporosis. Fractures are a major public health problem that can result in chronic pain, disability, loss of independence, and increased risk of death. With medications now available and under development, experts feel that osteoporosis is a preventable and treatable disease - not an inevitable part of aging. Osteoporosis is achieving unprecedented recognition as a disease that can be successfully managed by means of healthy lifestyle and good medical care. Dr. Lewiecki is founding President of the Osteoporosis Foundation of New Mexico, Osteoporosis Director at New Mexico Clinical Research & Osteoporosis Center, and Director of Bone Health TeleECHO at University of New Mexico Health Sciences Center in Albuquerque, NM. He is principle investigator of many clinical trials and author of numerous publications in scientific journals. His special interests are the development of new treatments for osteoporosis and improvement of the quality of bone density testing. Dr. Lewiecki is a consultant for patients with osteoporosis and metabolic bone diseases. He is an osteoporosis educator who frequently lectures in the US and abroad. 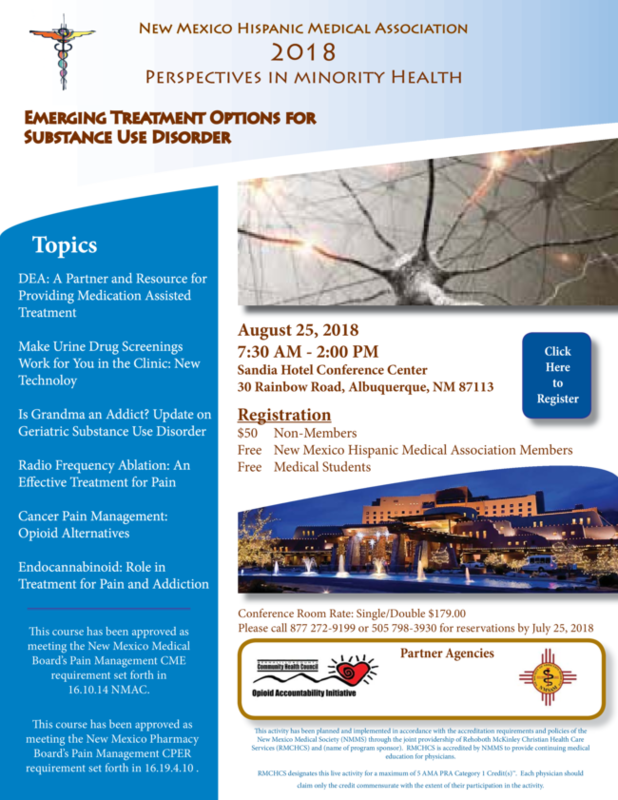 The Bernalillo County Community Health Council Opioid Accountability Initiative is sponsoring opportunities for mentoring by clinicians experienced in managing patients with opioid use disorder (OUD) utilizing medication assisted treatment (MAT) with buprenorphine (e.g., Suboxone Ò ). Clinicians experienced in this practice uniformly report that it is very gratifying. The aim is to increase the availability of MAT with buprenorphine by helping clinicians gain some clinical experience and guidance either before starting to prescribe buprenorphine or before expanding their practice. Part of the experience should include learning caveats from office nursing and administrative staff that help this practice to be efficient. The overdose death rate in New Mexico from opioids has leveled off likely because of the ongoing expansion of MAT and the success of the State and its community partners in expanding the distribution of naloxone (Narcan Ò ). Nevertheless, the number of people diagnosed with OUD and associated OD’s continues to climb. 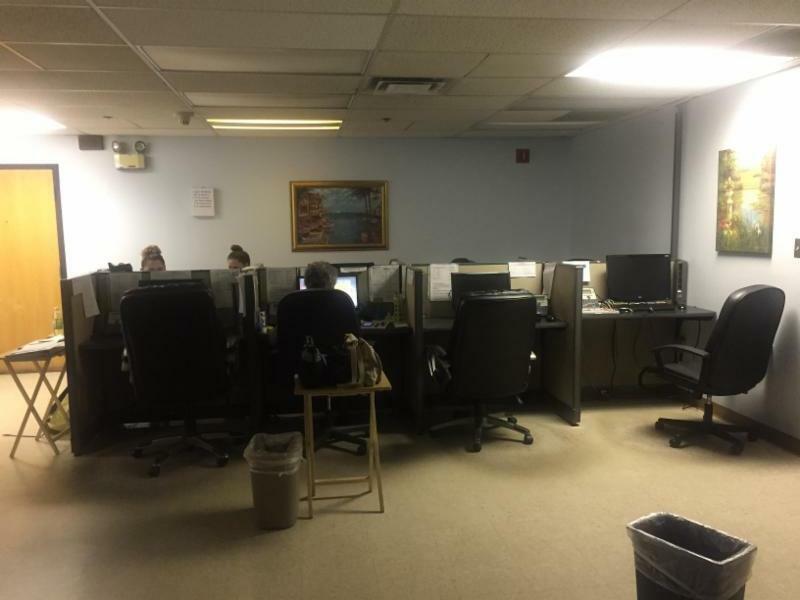 Thus, the demand for MAT with buprenorphine continues to increase, with wait times to be seen by a provider in Bernalillo County continuing to hover around 2-3 weeks. Getting an OUD patient started on buprenorphine right when they are willing and ready can be life-saving. The mentoring program will be individualized by both the mentor(s) and mentee. For example, the mentoring period could be for two days divided up into ½ or 1-day segments, or completed two days in a row. 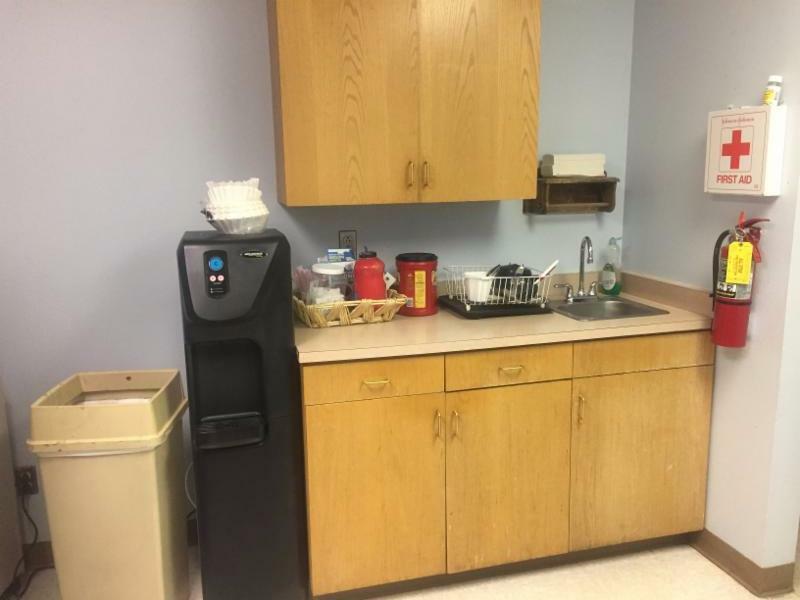 We also have a provider available to come to the office of the clinician that is being mentored. For ongoing support, some of our clinicians are available by email or phone. We are currently prioritizing this experience for clinicians from Bernalillo County, but can likely help clinicians from other areas of the state find a mentor or arrange for mentorship in Bernalillo County when there is availability. We look forward to working with you. 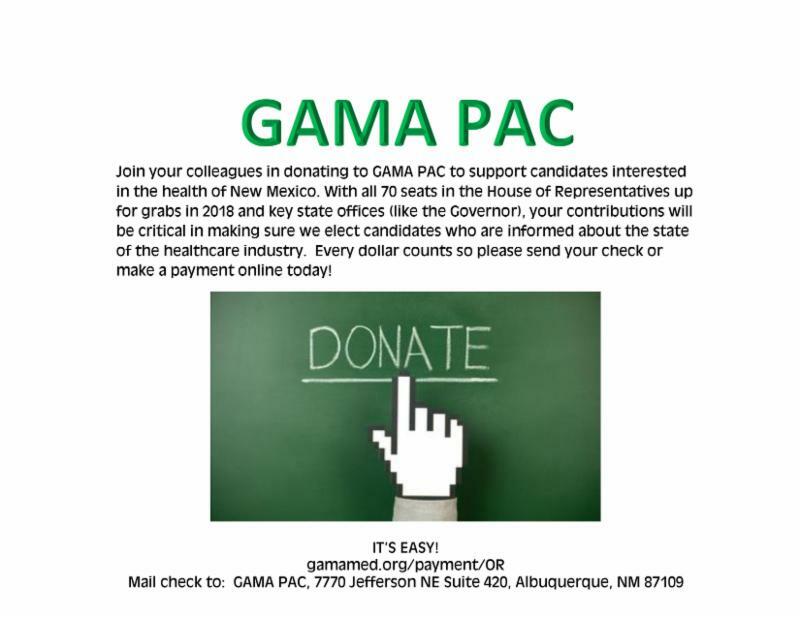 To get started, contact: Steve Lucero (stlucero7@ gmail.com) or Harris Silver, MD (hsilver30@comcast.net ), or leave a message at the office of the Bernalillo County Community Health Council by calling 505.246.1638 and you will be contacted within 2 business days. Please also contact us if you would like to serve as a mentor. Near Wyoming and Menaul and Kaseman Hospital. Newly remodeled. Cap 5 cable, attractive landscape and beautiful brick exterior. 1600 ft.². $1395 Per month. 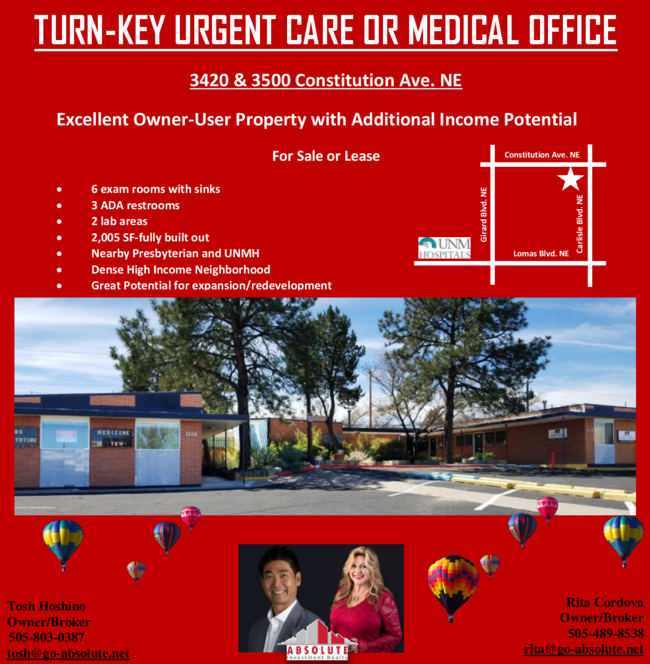 Call Dr. Robert Foreman at 505-269-1731.